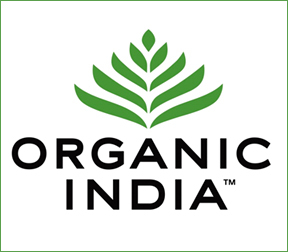 Professional Supplement Center announces the addition of Organic India’s line of certified organic and non-GMO products to complement our extensive line of high performing, quality nutritional supplements. Founded in the 1990’s, Organic India has a mission to provide genuine, organic, exceptional quality wellness products for conscious healthy living. Organic India has a commitment to support natural sustainable organic and biodynamic agricultural practices that serve and protect nature and support the livelihood and wellbeing of farmers and tribal wildcrafters in rural India. In doing so, Organic India provides a living wage to the Indian farmers, creates a sustainable environment and brings health and wellbeing to all. All farmers are certified organic according to U.S. National Organic Program (NOP) standards and all facilities have been awarded USDA and GMP certifications. Organic India uses advanced processing methods and dehydration technologies that ensure all products retain their maximum potency levels and the highest possible quality. Joy! contains bacopa, gotu kola, ashwagandha and other herbs to uplift mood, and boost energy and vitality. Joy! is designed to provide tension and stress relief when overwhelmed, tired or depleted. Vitality is formulated with five anti-stress, anti-aging and adaptogenic herbs to help relieve stress and support increased energy without the use of stimulants. Vitality provides immune system support and provides herbs chosen for their unique nutritional contributions to overall rejuvenation. Tulsi-Holy Basil has been used for centuries to promote immunity and stress resilience, support strength and stamina and enhance calmness and clarity. Tulsi-Holy Basil is one of the most cherished healing herbs of India. Amalaki is considered a superfruit as it provides a fully bioavailable source of natural and easily assimilated vitamin C. Amalaki aids in detoxifying and rejuvenating the digestive system and is naturally abundant in antioxidants providing free radical protection and support for the immune system. Moringa is considered one of the most complete and nutrient dense plants as it contains over 90 nutrients, 46 antioxidants and abundant minerals. A true superfood, Moringa supplies protein, vitamins, beta carotene, trace minerals, all essential amino acids and antioxidant polyphenols. This entry was posted in Health & Wellness, Home and tagged Amalaki, Joy!, Moringa, Organic India, Professional Supplement Center, Tulsi-Holy Basil, U.S. National Organic Program, Vitality, Vitamins and supplements, www.professionalsupplementcenter.com. Bookmark the permalink.